What you do with all of those ripe tomatoes in your garden? Fill a large bowl with ice cubes and water and set aside. 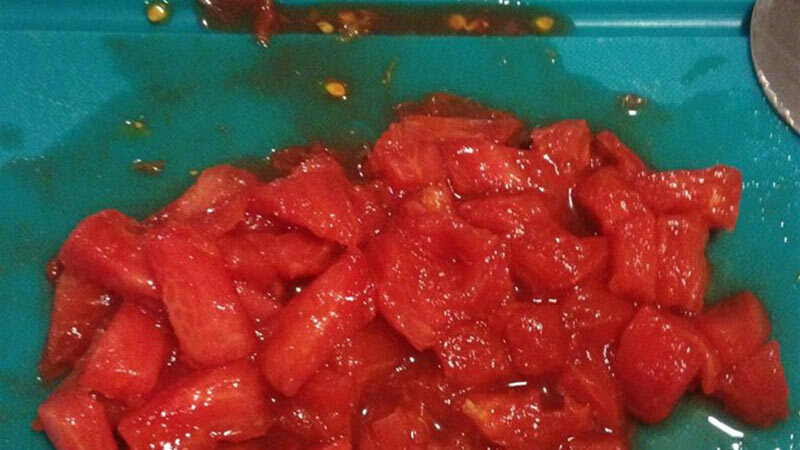 Cut an X in the bottom of each tomato with a knife. Place prepared tomatoes in the pot of boiling water and cook until the skins begin to peel off, 10 to 40 seconds. Transfer tomatoes to the bowl of ice water and allow to cool for 2 to 3 minutes. When cool enough to handle, peel the skin off each tomato. Cut each tomato in half crosswise and remove and discard the seeds; finely dice the flesh. Put processed tomatoes into gallon freezer bags and store in the freezer.